Hi! It’s been a while … a long while. When I realized I am creeping up on my 1yr mark since my last post, I wanted to make sure I pass that moment with a fresh, new, shiny post. So here I am, saying “Hello!” again (thanks Adele), and getting over my “it’s been soooo long since my last post how will I ever blog again?? ?” fear. “Pushing Through My Fears” could (should?) be a multi-post series as it is something I actively do nearly every. single. day. and something I know everyone faces, no matter where you are in life. My inspiration for this post came when I heard myself correcting someone after he labeled me as “fearless” — flattered as I was, I am certainly not without fear — it’s just that I do my best to not let my fears prevent me from going after my ultimate goals, no matter the size or impact of said goal. Sometimes I actually have to say out loud, to myself, “I am scared of ___!” Just doing that diminishes the fear’s power over me 8 times out of 10. If that works, jump to Step 7! If it feels overwhelming, break the plan down into the SMALLEST pieces possible and truly take them one at a time. Step 7: CELEBRATE your action-taking self!!! YAY! I toasted the day I first filed for my LLC! 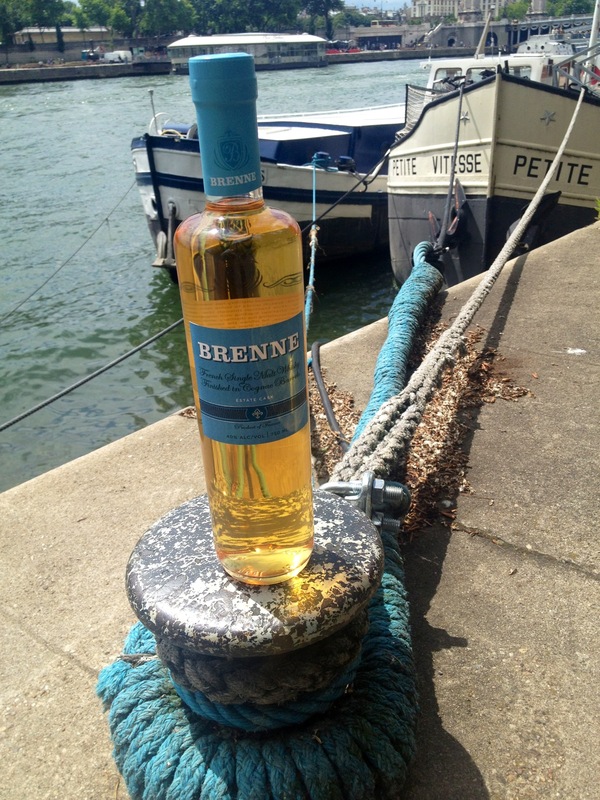 Heck, I toast every single milestone I feel I cross with Brenne Whisky still today! When they say “it’s about the journey” I believe it – so I make it a conscious choice to genuinely love the small victories each and every time. I blinked and it was January 22, 2015. 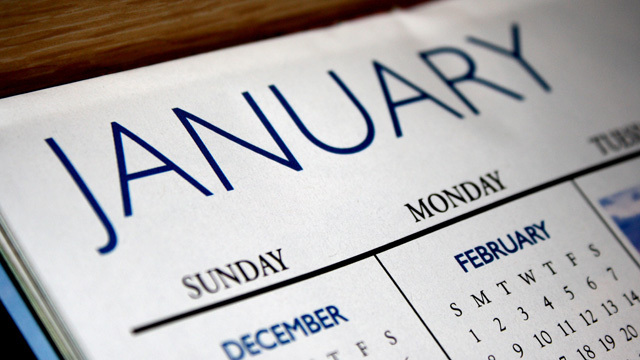 Not just January… But nearing the END of January. Running your own business (no matter the industry) is an extremely humbling experience. Every day I metaphorically climb mountains and hike through strange new lands – each time requiring that I quickly learn the local dialect, customs and culture. Good thing I love to dance & am quick on my feet! As a solopreneur working extremely hard to build awareness of my Brenne Whisky, I have found a bit balance this past year by running regularly and meditating (the inspirations for which I share often on my personal Instagram page). When I take stock of where things are with Brenne at the moment, I’m simply elated. By November 2013, we were available in 4 States around the USA. 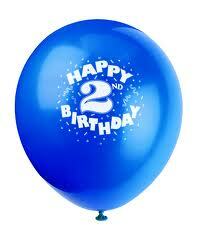 By November 2014, Brenne was available in 28. TWENTY-EIGHT!!!!! That’s an average of 2 states per month consistent growth over the course of 12 month. And we just opened Maine this week. The wider availability of Brenne in the US market coupled with the showering of amazing press of even just the last handful of weeks(!!) (Forbes, CBS Morning Show, Men’s Health, Boston Globe, Men’s Journal, NY Observer!!!) confirms for me that I’m on the right path. Internally, I was laughing and shaking my head in disbelief. Externally, I thanked him for the advice, mentioned a few of the recent articles we’ve received but ultimately, was grateful that clearly he liked Brenne enough to try and offer his two cents as to how I could grow my business. There is always more work to do, however, I feel that the U.S. finally has the beginnings of a great foundation. We’re growing steadily (thanks to many of you!!!!) and I have lots of hopes for this year ahead, including the release of something extremely special, super limited and, in my humble opinion, ridiculously delicious coming to you this Fall. 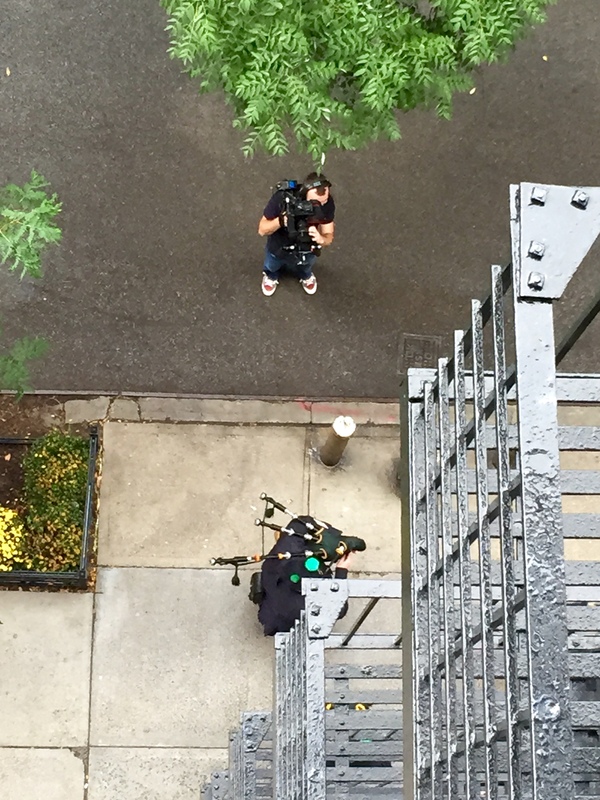 …Yup, you’ll want to stay tuned! In the mean time, one more lucky country is about to get Brenne … Who you ask? I’ll be back soon with the details! So as we near the end of the first of only 12 months in what I expect to be another year of fleeting, albeit beautiful moments, I raise my glass to you: Cheers to you, your friends, families and drinking buddies. I hope 2015 is a year filled with special experiences, love and plenty of great whisky. It’s been a great experience getting out there and meeting so many more whisky fans. If you’re someone who has attended one of the many shows I’ve been at recently and came over to try Brenne, THANK YOU! For everyone who has continued to support me here and on various means of social media (and, well, by ordering Brenne at your local watering holes & liquor stores! ), an even bigger THANK YOU. You all keep this particular solopreneur going! In the mean time, I’m excited to announce that I’ve started a YouTube channel! My goal is to post a new video every other Wednesday (fingers crossed I can maintain that!). It’s been a really fun way to engage with people beyond the written word and photos on Instagram… and the “un-edited Me” is, well …something else! CouchTalk: A series I’m developing where I invite some of my “whisky family” into my home for whisky (duh) and a chat on my couch about anything from a new book they’re launching to a review of a whisky event (like this one below!)! How To…Cocktails: I’m asked regularly if I’m “okay” with people using Brenne in a cocktail and my answer is always YES! So I’ll be doing some “How To” videos of my favorite whisky cocktails using Brenne like these! Vlog: I’m hoping to roll off some videos where I’m perhaps answering people’s questions or chatting about whisky news or other things going on that I think are of some value to share. I imagine these will be in a similar casual format to my “Welcome To My YouTube Channel” video like this! So, if you’re a fan of YouTube, I really hope to see you over there! Please subscribe & like the videos (if you like them, of course) 🙂 I’m hoping this channel will evolve over time and that it gives us another avenue upon which to engage and continue the whisky conversation! But no worries if you’re not a YouTuber, I am still planning on maintaining my presence here too. 🙂 Big whisky cheers & hugs to you all. Thanks for spending your time with me! On the morning of Brenne’s 2nd Anniversary of being on the market, I find myself having flashbacks to some incredible points over this past year. The things I think most about are not the gains I’ve made business-wise (though those are awesome! ), but rather the people who have stepped into my world to cheer me along and extend a hand. You know who you are; you send me the most amazing tweets, FB comments, text messages. 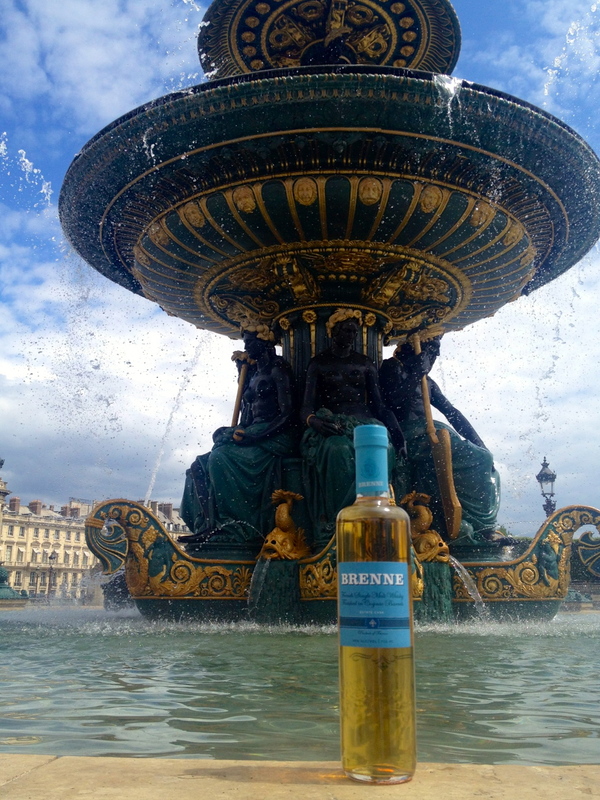 You write to me through the Brenne website to share with me your 1st experiences of enjoying Brenne. You’re store owners who tell me about your patrons telling other patrons about my whisky. You stand around my table at the whisky events bringing other strangers over to try what you’re proudly shouting to be “one of the best whiskies of the show!” You’re the group of Scotch distillers who told me that your brand ambassadors brought some Brenne back for you from the States and you stash it secretly behind your stills to enjoy a nip at the end of a long day (true story!!!). You’re the people who promise to come back to my tasting event with friends … and actually do. You tell me about the times in your life you pull out “the” Brenne; with your sons, your brothers, your sisters, fathers, mothers and friends – and the sweet moment you shared with that loved one while sipping my whisky. You don’t see it, but I’m holding back tears. YOU bring me the most overwhelming sense of JOY I have ever felt in my professional life. It makes my hands shake just typing this. My blogger friends (i.e. 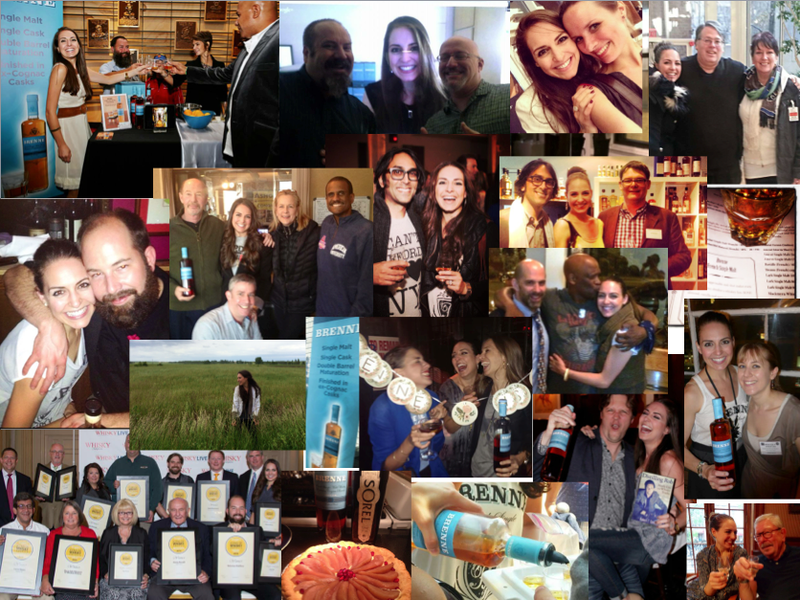 the #whiskyfabric) have been with me since Day 1 and have continued to support my Brenne dream. That, coupled with the incredible strength, smarts & support from my husband & Brenne co-founder, Nital, has always been my foundation. That is what gave me a confidence boost when I had to step out into the world in those very early days, pounding the pavement with an army of 1, knocking on the windows of bars and retailers around Manhattan with my face cupped to the glass, mouthing to whomever was inside if they’d let me in to have a quick sample of my whisky and, somewhat famously, delivering my hooch on Citibike. On the morning of Brenne’s 2nd Birthday, I wanted to highlight a few people’s comments and share with you some of your own words that have humbled me beyond anything I have known. Allison and all the crew that helped make this extremely unique, delicious single malt whiskey. I was hesitant to purchase this product because I work for a large Scotch distillery, but I always enjoy trying other products. One day a friend/colleague said to me close your eyes and smell this, and tell me your thoughts. I said, it has the aroma of a fine single malt scotch with a semi sweet nose similar to drambue but much fainter. He said good nose, now taste! I did and said I need a bottle of this right now. I wish you much success with this truly amazing product. I just read the reviews on Brenne, I can almost taste it! I NEED this whiskey in my life. I’m in Miami and can’t find a single retailer….HELP HELP HELP, Please… I would love to introduce this French Whiskey to my fellow female cigar snobs. Congratulations to you on this fine accomplishment! I’ve just started your blog, and had to pause to let you know how proud I am of your vision, your enthusiasm, and your determination. On the product side, Brenne is the most exciting surprise/discovery in years. A great new wine at a good price is always fun, but seldom does one find a unique take in an existing category of spirits that so exquisitely succeeds. There we were in Lewes, DE at this darling new brasserie… We had asked for Oban, and the manager said let me bring you a sample of something we just got in! (see, everybody “gets it”) It had us at the first sip ~ a soft velvet hint of Armagnac and flowers and elegance… so very mmmmm! So, yes, it’s on the Christmas list! Just popped in and what did I see??? Yay! I now have Brenne literally in my backyard! So from the bottom of my heart, THANK YOU. Last year, we celebrated Brenne’s 1st Birthday with a little party and since then, it’s been a whirlwind of activity, travel and hard work. This year, I plan on sitting quietly with a good glass of Brenne, mindful of how far we’ve come already – and how much more I want to do. PLEASE check out Brenne’s Event Page and come out to see me if I happen to be coming to a city near you! http://drinkbrenne.com/events I’ll continue to do my best to post here, on FACEBOOK, TWITTER & INSTAGRAM. I’ll never forget the moment Fred Minnick called to interview me for his book, “Whiskey Women: The Untold Story of How Women Saved Bourbon, Scotch and Irish Whiskey.” I was on an NJ Transit train barreling away from NYC into the heart of New Jersey where my grandmother, Grace, was saying goodbye to family, friends and life in general. Though it was over a year ago now, I still feel her loss daily and even reached for the phone to call her recently upon returning from a trip abroad. My grandmothers were key figures in my life for over 30 years and I lost both of them within 6 months of each other. They loved and supported me equally in their own way through my many self-reinventions and career moves. Grandmom (Grace) was a truly remarkable spirit. She was bold, loving, courageous, curious, had an incredible laugh and LOVED to tell stories (we’d often laugh at how she say she’d have “nothing to share” but then launch into a 40min story chronicling her journey to the post office). 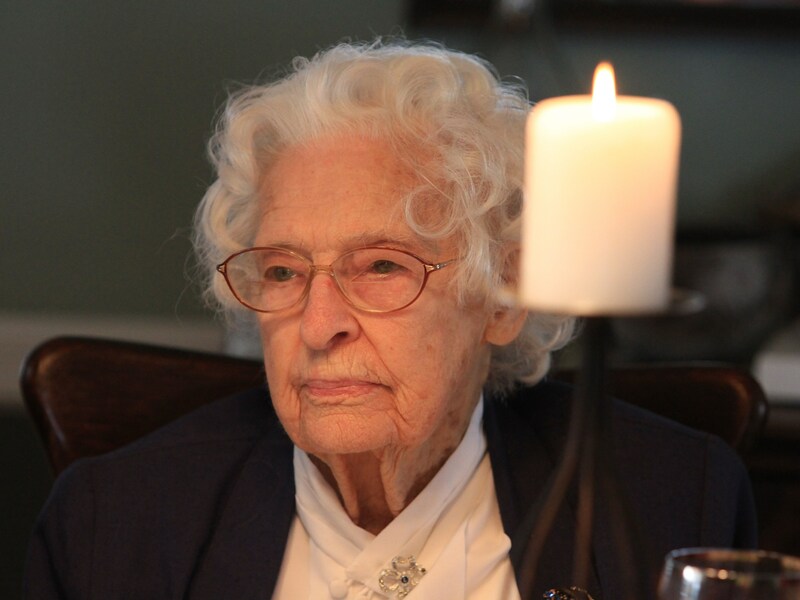 She passed two weeks shy of her 102nd birthday and was just as strong and lively a week before her passing as she was the previous 101 years. So it was interesting for me to be interviewed by Fred in that exact moment when I was deeply reflecting on the incredible life my Grandmother lived and the unsung gifts she had given to everyone she met from 1911-2013. Fred and I had had a few conversations prior but at the time of the interview, had not yet met face-to-face. He had a way about him that instantly put me at ease and I marveled at how seamlessly the conversation between us flowed as the views of the city quietly disappeared and were replaced with industrial buildings and eventually trees. When people meet me or talk to me, I don’t think “shy” is a word that comes to mind (nor is it a word I’d use to describe myself most of the time) but I remember being extremely grateful to Fred for even considering to include me in his book – and yes, when it eventually launched with great success, I was certainly shy to promote his inclusion of me in the pages with so many great women – many of whom seemed to possess the qualities I saw expressed by my grandmothers throughout the decades we shared together. It’s a huge honor when anyone takes an interest in something you do – especially when you’ve risked everything and “put it all on the line” to do it! When I was working on Brenne the years before it was ready to be released, I sectioned off my anxiety about “reviews” and buried them deep inside as I didn’t want any fear for potential negativity to effect my innovation and drive to create something so expressive of the Cognac region and yet so different from any other Single Malt on the market. I remember when we launched (just 19 months ago!) I’d read blog reviews of Brenne on my phone with shaking hands just praying that they’d be “at least neutral” and feeling my heart melt with happiness when it was one positive review of Brenne after another. For my Grandmothers who were my biggest cheerleaders of all – I know they were incredibly confused when it seemed that my life took an almost abrupt turn from “ballet to booze” but they nonetheless rooted for me – even if they didn’t understand a single thing I was doing. Walking off the train that day to sit with my grandmother that afternoon, I shared with her the news of the interview and magnitude of having someone like Fred Minnick take notice of me & my work in those early days. We shared in the excitement together as my faithful cheerleader gave me one of her memorable “I’m so proud of you!” hurrahs one final time. 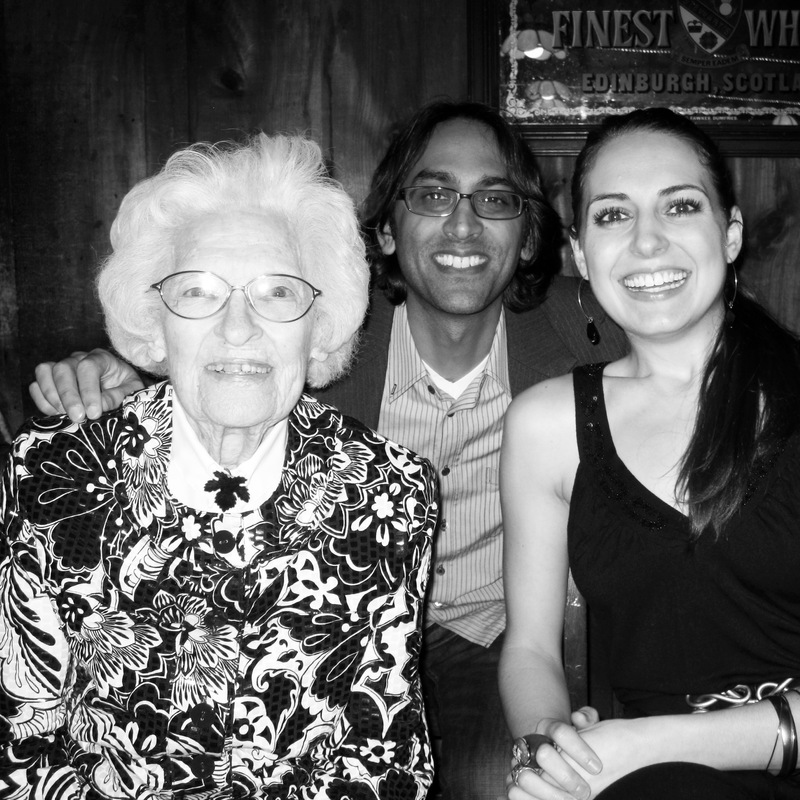 Grandmom was all about family and knowing that all of that cheering she’d done for me here on earth was starting to work in my favor, that maybe “this whisky thing” would work out after all, made us both proud as we sat holding hands that last time. Fred’s book will always hold a special place in my heart especially because it marks an interesting time in my life. The inclusion of me in context with all of these incredible women in history who greatly impacted the whisky industry – a spirit & industry which I love deeply – is beyond humbling and also something I find comforting. It’s not just my family who has faith in me doing what I’m doing but also all of you – my friends, my peers, my fellow whisky lovers. A HUGE congrats to Fred who’s book, Whiskey Women was just selected as THE Nonfiction Book of the Year in the Women’s Studies category by Foreword Reviews. It’s an incredible book that continues to climb to the top of the charts. If you haven’t picked up a copy, you can certainly do so now by clicking HERE. I strongly suggest making this your beach read for the 2nd half of the summer! Learn more about Fred Minnick on his site HERE (http://fredminnick.com/) and also follow him on Twitter HERE (@FredMinnick). Thank you also to Drinks Business for recently naming me one of the TOP 10 WOMEN IN WHISKY! I’m grateful beyond words at being considered one of Fred’s modern day Whiskey Women warriors and look forward to keep pushing forward. I’m super excited to share something totally fun & a little silly with you we’re calling #BrenneVoyage! Every day during the month of July, I’m going to post a photo of Brenne “out and about” and will tag the photo using the hashtag BrenneVoyage on Instagram, Twitter and Facebook. 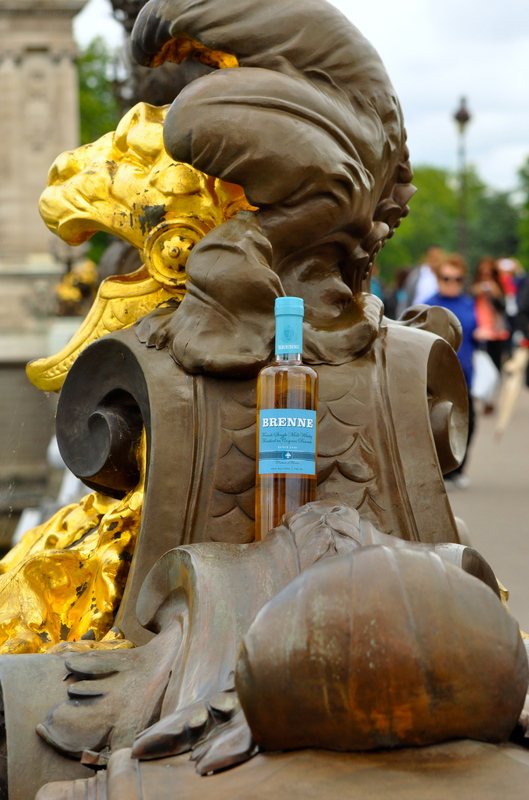 As many of you may know, as the founder of Brenne Whisky (pronunciation reminder: “Brenne” rhymes with “zen”), I’m almost always in possession of a bottle of Brenne. It goes with me everywhere and in a lighthearted way, I’ve found myself occasionally referring to these bottles as having personalities and being far from the inanimate objects that they are (after all, I certainly care for them as if they were my children!). 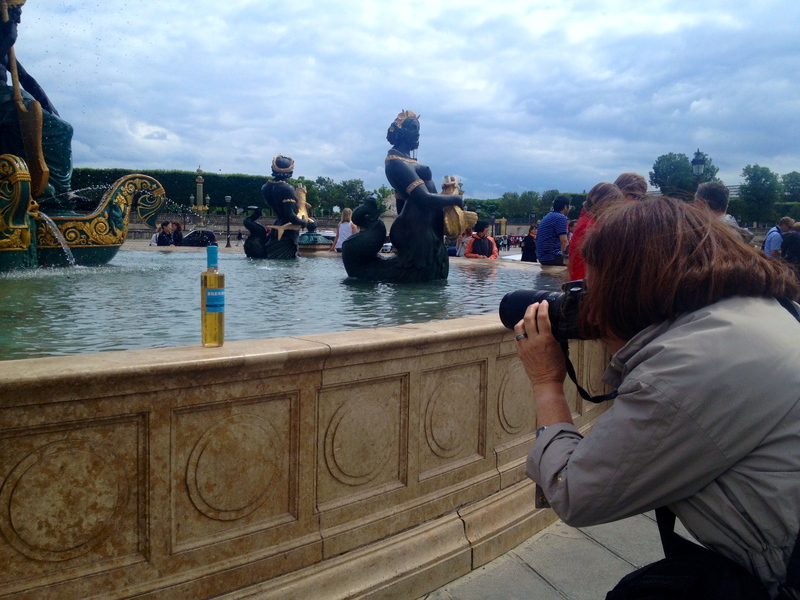 So on a recent trip to Paris, my mother and I had a blast taking Brenne on a sight-seeing trip around town, photographing it’s journey along the way. When we got back and realized just how many of these photos we had, I thought it was only right to share them in a mini-series that you can follow along on Instagram, Twitter and Facebook by searching for the “#BrenneVoyage” hashtag. 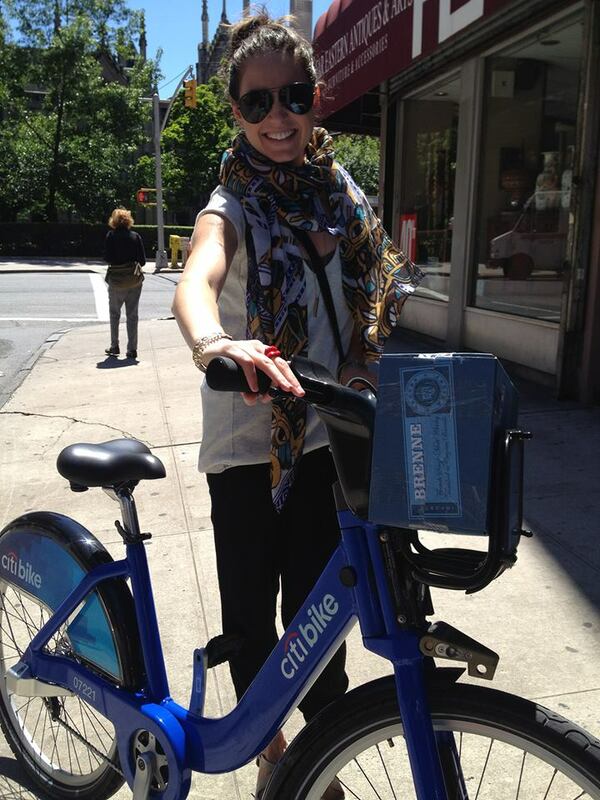 It was a hilarious way to enjoy a city that I love so much, the theme of which has now taken on a life of it’s own. 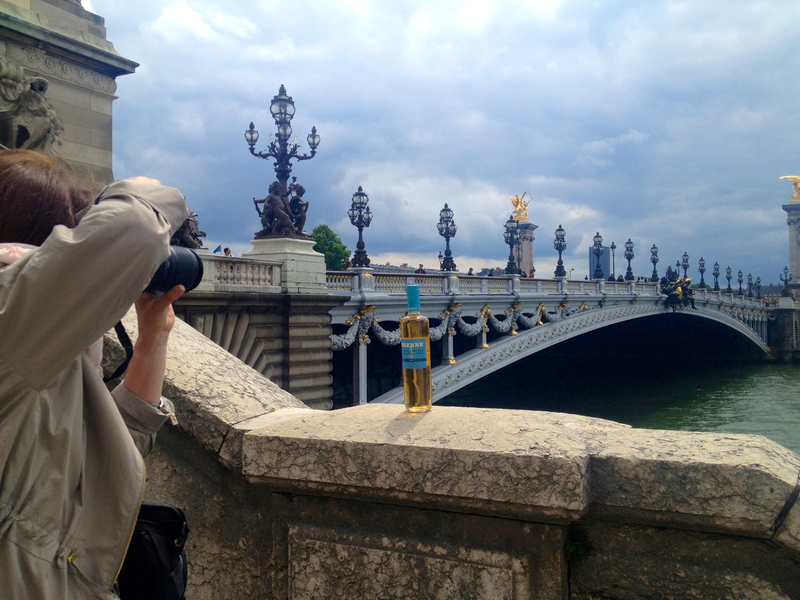 I certainly encourage you to grab a bottle of Brenne, your camera and your sense of humor and join me in this month long photographic journey shooting Brenne around town, on your vacation and hanging out with you this summer – just make sure you use the hashtag #BrenneVoyage so we can all see them! (And please respect your local liquor and open-container laws!). Hey Brenne, can you give us a little more shoulder action? You are currently browsing entries tagged with Whiskey at The Whisky Woman.